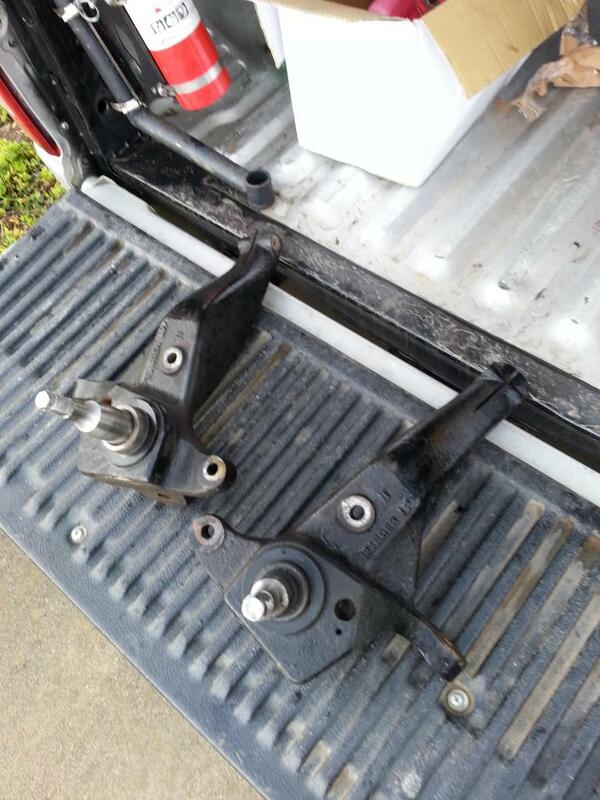 I'm selling my front suspension and moving onto a stronger kit. 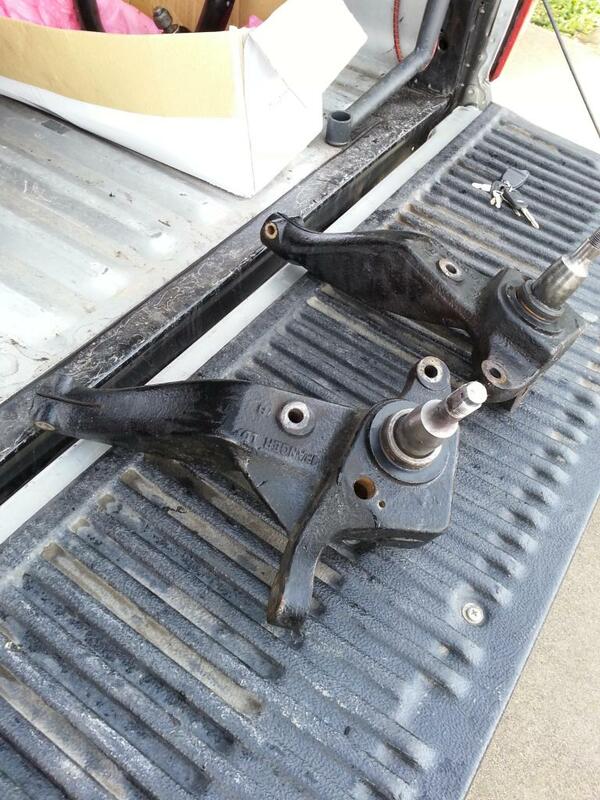 These parts have performed well and are still on the truck currently (daily driven). I should have them uninstalled in about a week. First come first serve. 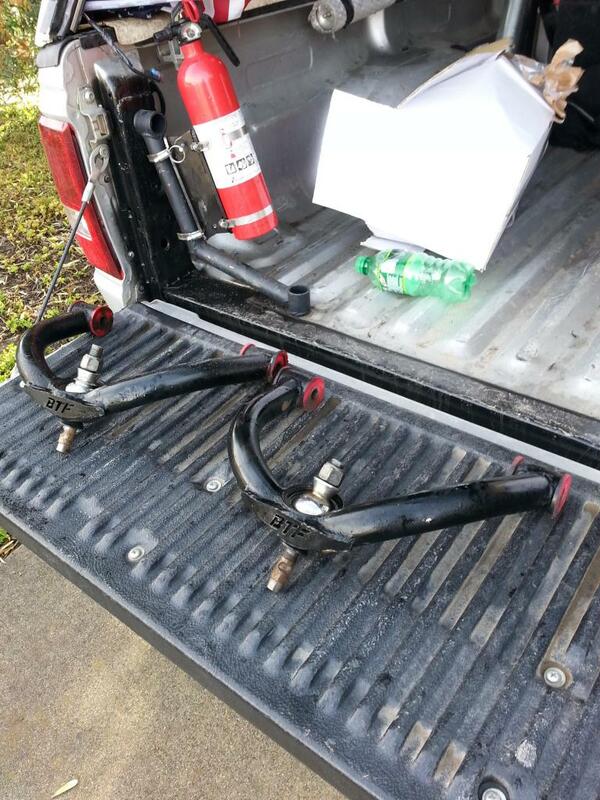 they will fit 98+ 2wd coil spring trucks. 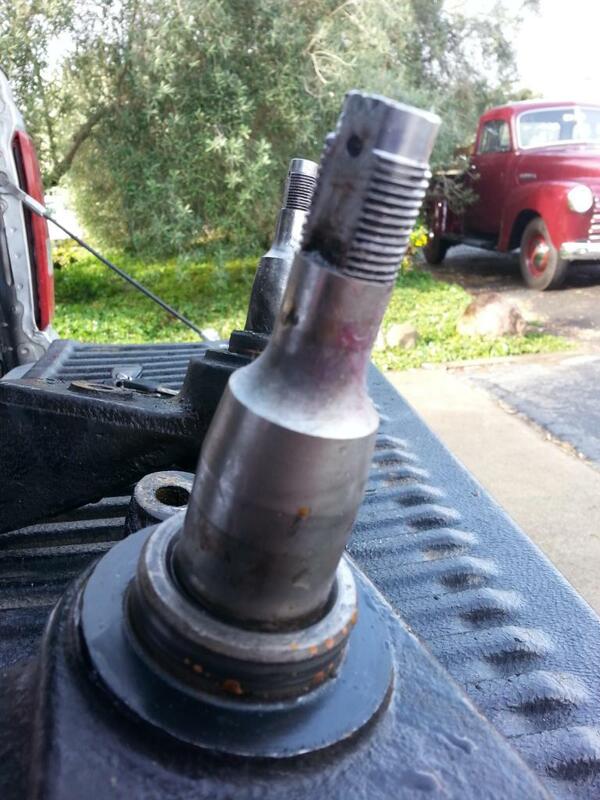 for 98-00 owners youll need to run the larger 01+ rotor to run the spindles. 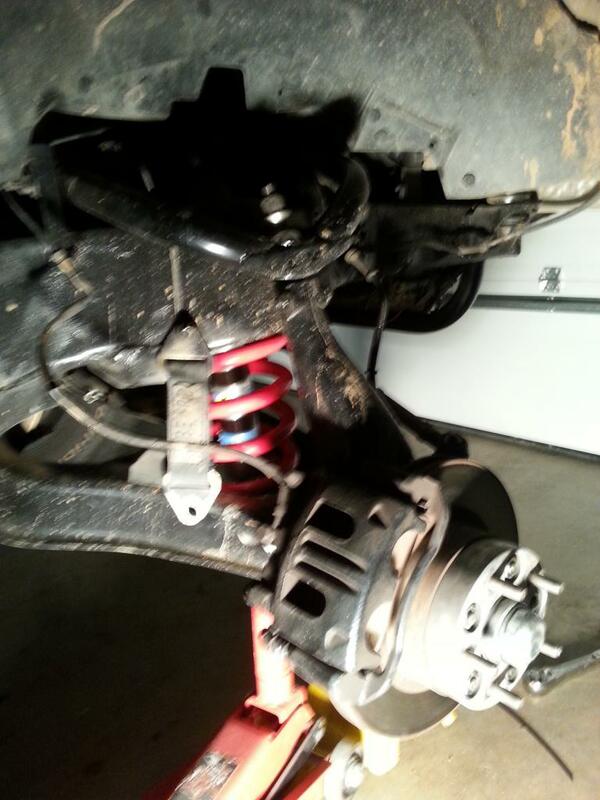 uppers will work on any coil spring 2wd 98+. bought these used from another member on DR and ran them straight out of the box. about 6 months ago i put in brand new uniballs (1in) and bushings. 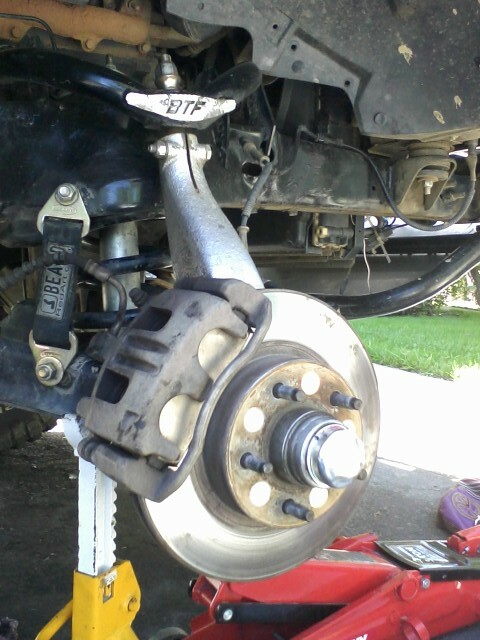 they have been 98% street driven with a few offroad trips since then. and NO hard desert miles. 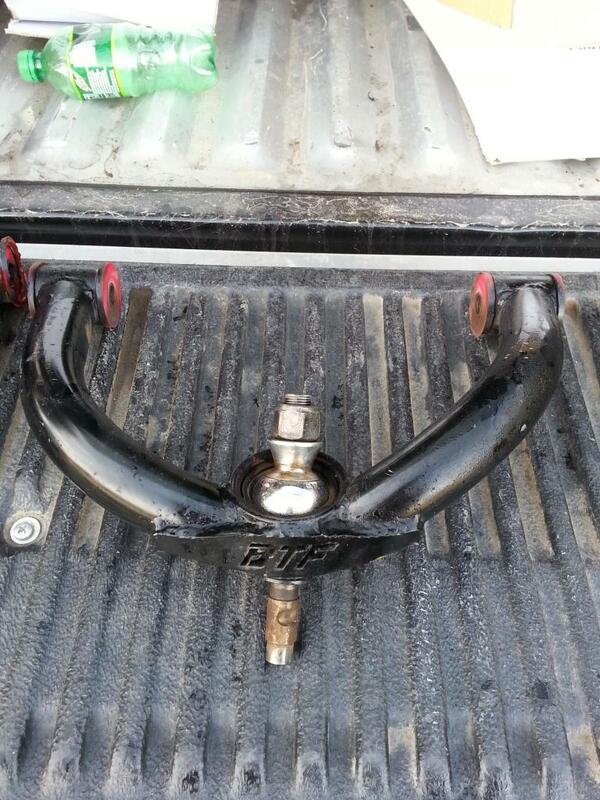 great shape, includes the machined ball joint conversion pins and misalignment spacers to go with. bought these brand new and have changed the wheel bearings religiously to avoid any damage to the snouts. they have slots for the ABS as well. ready to run. no brake hardware included, spindles only. since i have just purchased brand new CRS eibach springs a short while ago, the OG grey eibach springs that are included in the new kit will be sold instead. both are made by eibach so i expect them to perform the same. prices are pretty firm. $700 for the most travel your ranger will get with a stock lower arm. handles great on and off road. All bolt on. Ready to run right now as is. currently located in SLO, but i go up to sac often. bump.. kit got pulled yesterday and cleaned up. ready for sale. 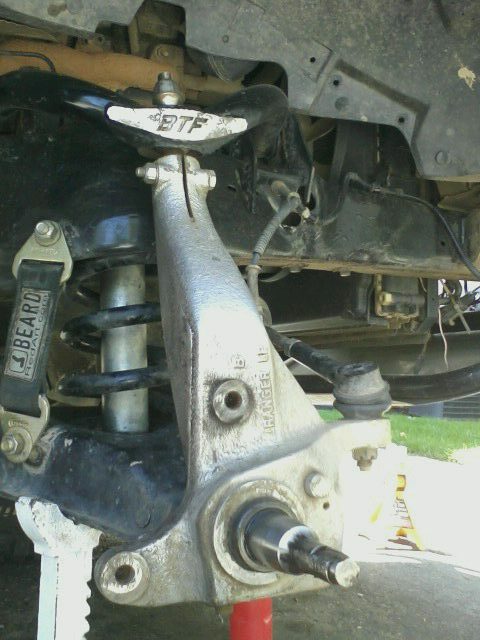 all the bushings still look great, one looks questionable only because the alignment shop tightened it down pretty good. ready to run. please to fill my inbox with thousands of offers because i know everyone wants to have a ranger xlt tt on the cheap.. these will get you there! 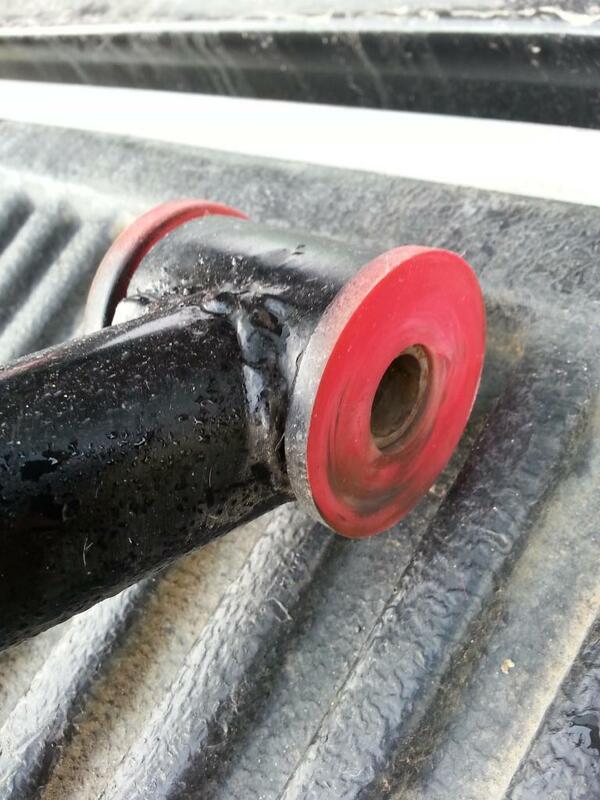 bushings all look like this.